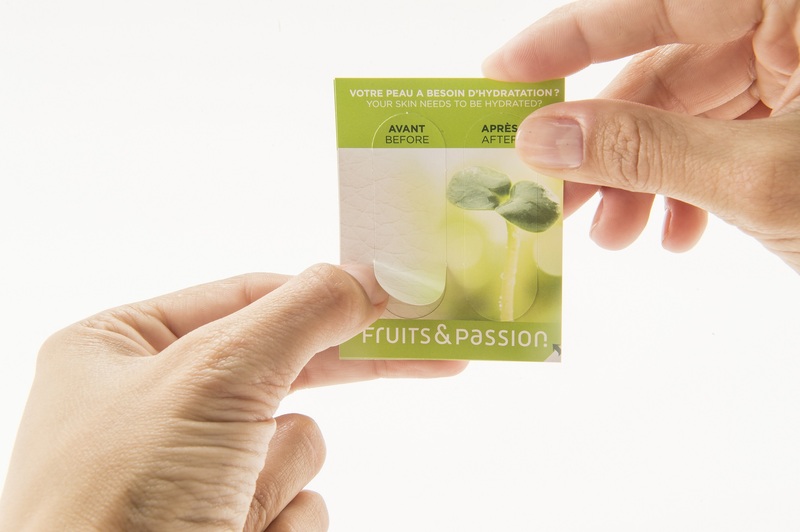 Fruits & Passion team needed to find a tool that was engaging and proved to customers that their skin needed to be softer, smoother and hydrated. This tool helped customers to evaluate their hydration level, while at the same time confirmed the need of a hydrating product. Click here to see the tailor-made solution for Fruits & Passion. 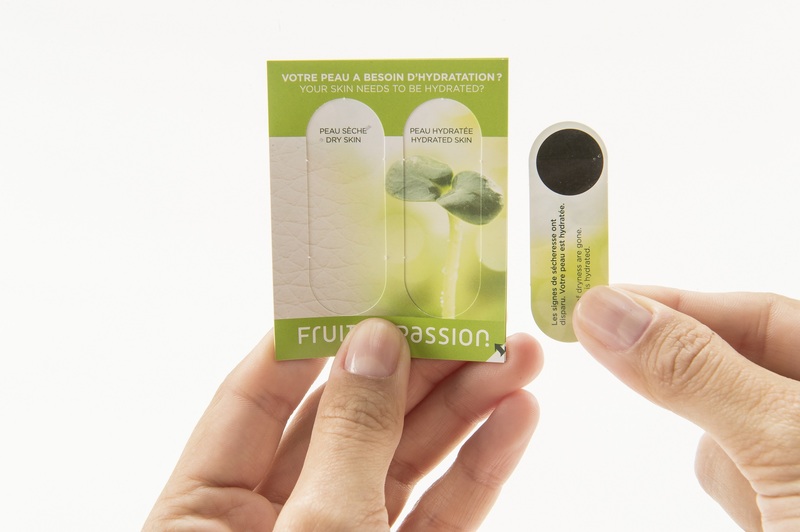 Fruits & Passion needed a tool that enabled consumer engagement, while educating them about their own skin hydration and the need to care for it. Essentially, the POS tool should also evoke the need for a product. The USP team knew that the Fruits & Passion team required a solution that would be engaging in a 1:1 conversation; supporting the beauty advisors as well as guiding consumers. USP developed solutions as per the brief received from Fruits & Passion. Both parties agreed that the Hydration Tool will be the ideal solution for 1:1 conversations..
Then the shape, and size of the demo cards was decided – and after that, the experts of USP handled the project’s next steps professionaly: artwork, printing and on-time delivery. 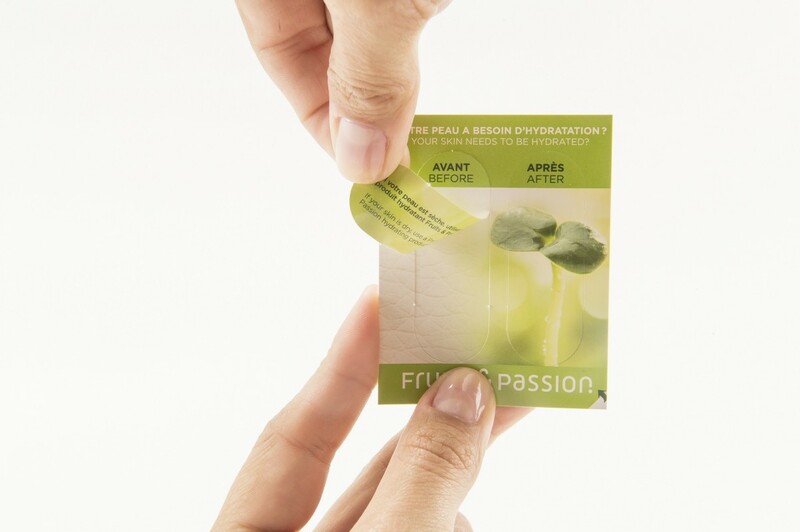 The Fruits & Passion beauty advisors eagerly educated and steered customers towards their hydrating product. Using this before and after technology, the hydration level of a person’s skin can be ascertained by the consumer themselves; with and without the product – leading to brand trust, awareness and eventually increased sales. 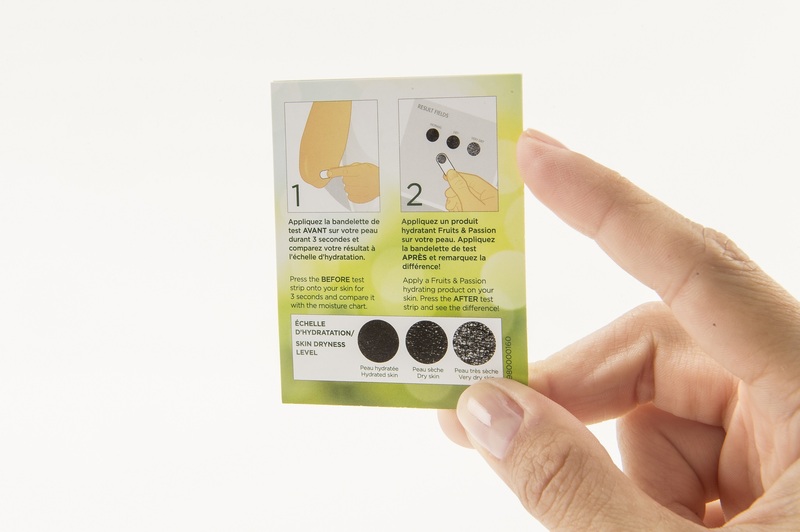 Remove the ‘before’ test strip from the test card. 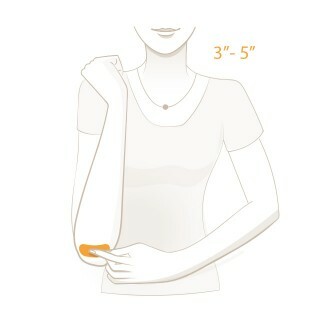 Place the strip on the elbow or shin area for 3-5 seconds. Apply Fruits & Passion product on that area. Remove the ‘after’ test strip from the test card. Press test area to your shin or elbow for 3-5 seconds. 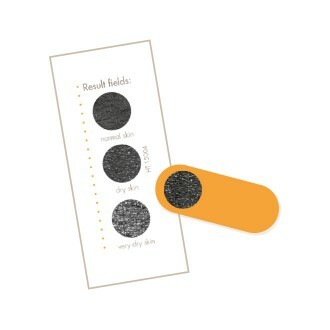 Compare test area with result fields to determine your skin’s hydration level.